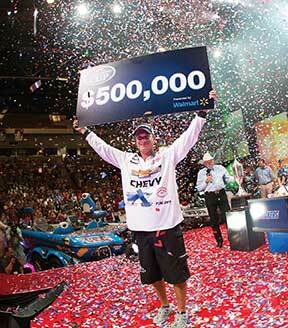 Observing that professional bass fishing has become a big business is so common, it's practically a cliché. It's obvious, as anyone visiting Columbia's downtown convention center during the run up to last year's Forrest Wood Cup weigh-in could easily attest. 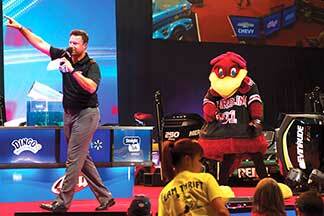 The FWC, held at Lake Murray in 2014, is the championship of the FLW (Fishing League Worldwide) tournament series. 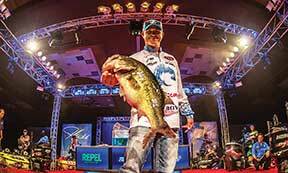 FLW, founded in 1996, is one of two major professional bass-fishing tours in the U.S., the other being the B.A.S.S.-sponsored "Bassmaster" series. These days, the sport's popularity rivals that of NASCAR. Barbecue cook-offs, live music, dramatic weigh-ins, world-class sponsors selling everything from lures to tricked-out bass boats worth tens of thousands and near-constant activity give high-profile tournaments like the FWC the feel of a week-long music festival or a big-time bowl game in which an entire city participates. What may not be quite as obvious are the lasting benefits such events have on the lake and river communities they support, especially when an event like the FLW-sponsored Forrest Wood Cup rolls into town, as it did last August at Lake Murray. The Cup (think of it as the Super Bowl of professional fishing) took over the Columbia Metropolitan Convention Center for a week, and the hype, the pomp and the drama, thanks to Prosperity resident Anthony Gagliardi winning on the final day - by a single ounce! - were huge for the sport and the region. In a report to the Governor's Office, the Capital City-Lake Murray Country regional tourism board estimated the event pumped as much as $25 million into the local economy, as well as generating record-breaking national media attention for the four-county region. The estimated 65,000 visitors who came to experience this nationally televised event spent an average of $250 on meals, hotels, shopping and other expenses. 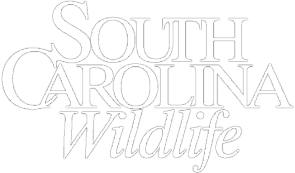 SCW recently spoke to three South Carolinians who have been, and continue to be, big contributors to the success and growing popularity of professional bass fishing - the aforementioned Gagliardi, the legendary Hank Parker and up-and-coming pro Casey Ashley - to get their take on why and how fishing for largemouth bass has grown from a casual pastime to a first-tier sport with an international draw (or, in this case, drawl), and the lessons they can pass on to young people interested in fishing as a career. Take any storyline from any team or individual in professional sports in 2014, and it's unlikely you'll find a more dramatic comeback than the one experienced by Anthony Gagliardi last year. 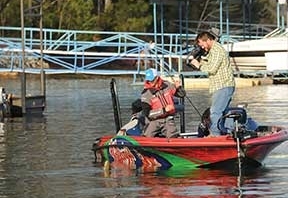 In the first tournament of the FLW season, he was disqualified after inadvertently breaking a new FLW rule regarding practice partners prior to the tournament's start. It was a huge blow. In a sport with only six tournaments with which to qualify for the prestigious Forrest Wood Cup finale, getting zero points in the first one made the odds of making the field for the championship nearly astronomical. "It was such a blow to me emotionally and mentally when that happened, it really took a toll," says Gagliardi. "I had done so much to prepare the whole offseason before 2014 to be able to fish for the Cup on my own lake, and on a moment's notice, it almost completely went out the window, my dream. In the heat of the moment, those thoughts of 'should I even fish this season out' were swirling around in my mind, but when push came to shove, I knew I couldn't have gone that route." 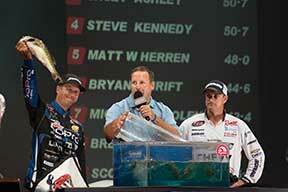 Instead, he persevered, and to the growing astonishment of all, began to put together a string of tournament successes that, by the end of the schedule, qualified him for the 2014 FWC by just one fish, an accomplishment that stunned onlookers like veteran tour fisherman, commentator and television host Hank Parker. "I love Anthony Gagliardi; cool guy, very well-deserving," says Parker. "His year last year was the epitome of never give up, keep digging, maintain focus against overwhelming odds, and keep fighting and pushing. That's the way my whole philosophy in competing was. Regardless of how far down you are, regardless of how things may look, just keep digging one fish at a time. And of course he did a great job of demonstrating that's what it takes. One single fish at any one of the events after he got disqualified last year - one fish - would have ended what turned out to be a life-changing victory for him. What a story that is!" On the final day of the Cup, which Gagliardi won by a single ounce of Lake Murray bass, he held in his hands a check for $500,000 - a far cry from when his first paydays on the water came in the form of dollar bills from his grandad's pocket. "I was competitive immediately," says Gagliardi. "I wanted to catch the first fish and I wanted to catch the biggest fish. We'd put friendly wagers on it, like a dollar for the first fish, biggest fish, most fish. That's how I got started. 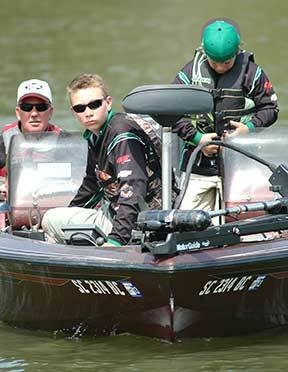 I was probably eleven or twelve when I fished my first tournament. I'd already developed a passion by then. From a very early age I developed a love for the sport." For Gagliardi, that love of fishing instilled in him by his father and grandfather is what he most enjoys sharing with his own family, especially in an era when so many distractions compete for our attention. 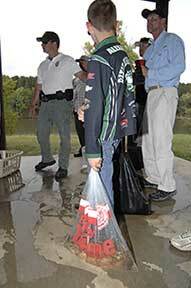 "Fishing will always be something people do with their families," Gagliardi says. "It's a great way for people to connect with their families and other people, and that will be around forever. As a parent, your kids get older and you always go back to those memories together. I hope we can keep the future of professional fishing strong with a younger generation that maybe doesn't spend as much time outdoors as we did as kids. We have to do our part to stoke that fire and take kids fishing. I don't want to ever get to a point where we see it start to dwindle." For Parker, growing up on the water and in the woods is what started him down the path of a career that's earned him spots in two different Halls of Fame (Bass Fishing and Legends of the Outdoors), won him the Grand Slam of competitive fishing and led to a successful career as host of Hank Parker's Outdoor Magazine television show. 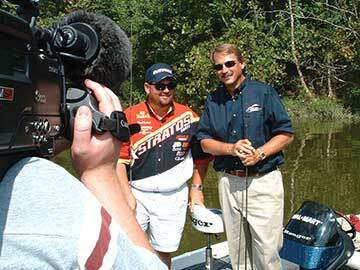 Few voices in fishing are as respected as Parker's. At this stage of the game says Parker, who makes his home in Union, he enjoys following the careers of the up-and-comers rather than competing against them. 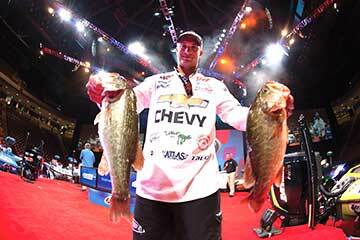 "Fortunately for me, I quit fishing competitively, but I never left that arena," Parker says. "I know all those guys, I've emceed tournaments, I go to the events and shows, and I'm very active with the industry around the tournaments." Like Gagliardi, Parker took to fishing immediately as a child. "When I was just a kid, I was just fascinated with it," Parker says. "Most of the kids would go, make a couple casts, not get a bite and be ready to go to the swimming hole. For whatever reason, I wanted to stay there all day and fish for hours and hours and hours. I just loved it. I'm sixty-one years old [now], and it's still a thrill to get out there. I'm like a kid - I get all giddy when I hook up the boat." Parker fished professionally for fourteen years and finished in the money in an incredible 76 percent of the B.A.S.S. tournaments he fished. He says the key to his success was determination. "I think that everything is a learning experience," says Parker. "The way you temper steel is you beat it and you heat it, you heat it and you beat it, and you heat it and you beat it. I got heated and beated a lot. "A lot of kids ask me, 'What is the number one ingredient to be a successful professional fisherman? Is it natural ability? Is it this or is it that?' I think it's a passion for the sport. When you absolutely love to fish, then all the other traits you can develop will come. If you don't love it, it's too demanding and you'll eventually fall by the wayside. The number one ingredient is having a burning desire to go fishing." 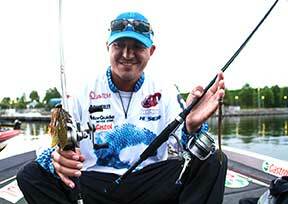 Donalds native Casey Ashley finished fourth at the 2014 Forrest Wood Cup and is considered one of the most promising young fishermen and nicest guys on the FLW tour. Like Gagliardi and Parker, Ashley doesn't fish for the money - he fishes because he can't imagine doing anything else. 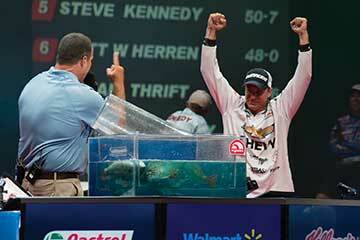 "The thing about professional fishing is, you really have to love it to do it," says Ashley. "It's not the fishing part that takes the toll on you, it's everything else that goes into it," he says. "It's either going to make you or break you when you start. People think fishing is fun. It's their getaway. I love it, and fish every chance I get whether I have to or not, but that's what you have to realize. This was my hobby before; do I love it enough to make it my job?" One of Ashley's other passions is high school fishing. 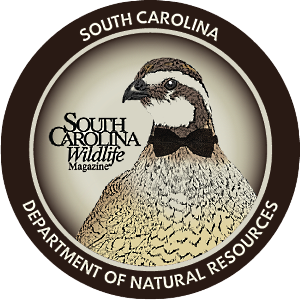 Though the sport isn't yet recognized by the S.C. High School League, thanks to ongoing partnerships with the S.C. Department of Natural Resources, the Bass Federation and B.A.S.S., some twenty-eight South Carolina high schools now field bass fishing teams, including Ashley's alma mater, Dixie High School, where he lends both his time and his wisdom to young anglers. "Our high school was one of the first to start a fishing team," says Ashley. "When Dixie started their program, I got involved because I'm close to the coach. I think people saw how popular it was, and it's been getting bigger with more and more schools." Ashley says the first thing that many young anglers he talks to want to know about is tackle, but that's only a small part of fishing. "I tell kids all the time... they want to know 'what do they bite here, what do they bite there?' and they expect me to give them this big, drawn-out explanation. I tell them, 'If you want to catch fish, get you some crickets and a bobber and go have fun.' For bass fishing, get you a shakeyhead and a finesse worm and have at it. You'll catch every fish in the pond, every fish in the lake. That's the thing about getting young people out there and interested. It's not necessarily about catching a twelve-pound bass, it's just catching fish. That's what gets young people interested." For Ashley, what he knows is that the sport that's taken him so far shows no signs of slowing down, especially here in South Carolina, where events continue to break records and draw crowds. "A lot of places don't really understand the economic impact of pro fishing until they host it," Ashley says. "I guarantee you, you can ask Columbia, where the Forest Wood Cup was, or you can ask Greenville, which will be hosting its second Bassmaster Classic, and they'll tell you what it means to the city and the area around the lake, especially the Classic and the Cup. 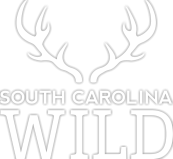 "You have people coming from everywhere, eating out at restaurants, going to local tackle stores, boat dealers and outdoors retail shops; it's an endless amount of money spent just in one week for a tournament. And there's a lot of people who don't comprehend that until they witness it. [But] selling them is getting easier and easier. There's a lot of money, and that's why it's growing big-time. It's a lifestyle, and I love it. Thank goodness a lot of other people do, too." 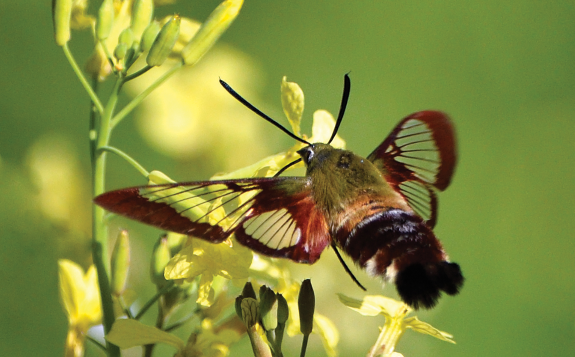 This is Columbia-based freelance writer Ron Aiken's first feature for SCW.